After losing out at the start, Hamilton seemed to have little answer for Valtteri Bottas’s pace. He spent much of the early part of the race with Sebastian Vettel in reasonably close company - certainly close enough for the team to react to Vettel’s early stop - and at the end of the race had Max Verstappen hounding him for second place. During the race, Hamilton made a few comments over team radio, worrying about his strategy and questioning whether his tyres would make it to the end of the race. It’s a fairly common response from Hamilton, especially when he’s not having a great race. Afterwards he complained of balance issues, which makes sense in the wake of the discovery his team made after the race. 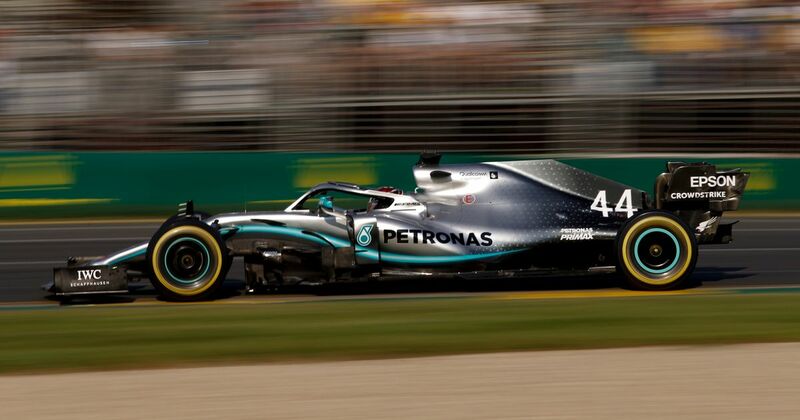 Hamilton didn’t hit anyone or have any off-track excursions so it seems strange that a section of the floor would simply break - unless the damage was caused by running over some of the debris from the opening lap incidents, that is. Damage would also explain why the gap to the winner at the end was so large, too. Well, that combined with a little bit of tyre saving, and the fact that Bottas was absolutely awesome.